The new data migration tool is a time-saving command-line that helps you update your deployed custom apps in no time. 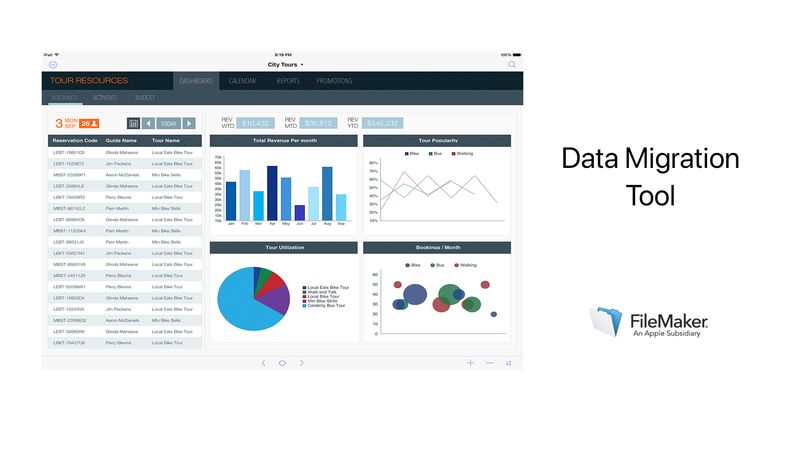 The data migration tool is available through the FileMaker Developer Subscription (FDS). Go from days to hours or hours to minutes when importing large data sets.